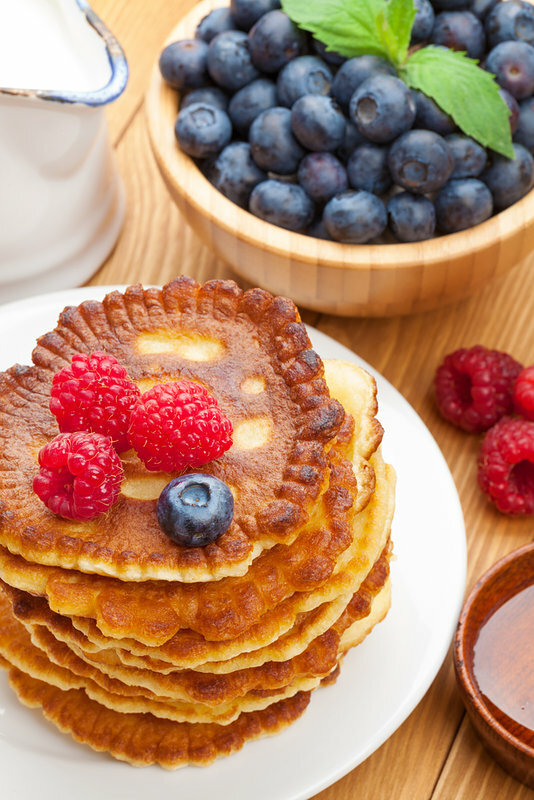 These healthy pancakes are delicious and quick and easy to make. The eggs and bananas makes them more nutritious and leaner than batter pancakes providing a good source of protein for muscle tone and energy for family life. Mash the banana well so there are no lumps. Add the eggs, baking powder, and protein powder OR vanilla extract and whisk until all the ingredients are combined. Alternatively you can place all ingredients in a blender and blend until smooth. Heat the coconut oil in a small frying pan over medium heat on the stove. Add 1 tablespoon of the pancake mixture at a time to make small round pancakes so that you’ll have about 3 in the pan at once, depending on the size of your pancake. Cook for 25-30 seconds before flipping each to cook the other side for the same amount of time. Remove to a plate and serve with; a dessertspoon of Greek Yogurt, 2 teaspoons of nut butter and some berries. If you've just had a baby, it's really important to nourish your body with whole, foods packed with vitamins and nutrients to help you recover from pregnancy and birth. The eggs in this recipe are a good source of protein for muscle tone and for energy.